The leading company in HD entertainment, business signage solutions and networked accessible storage devices, Mvix (USA), Inc. has announced the availability of its new ultimate high-definition 1080p UPnP home theater media player, named as Mvix Ultio (MX-800HD). Mvix Ultio incorporates BitTorrent, samba server and UPnP implementation for seamless integration with services such as PlayOn or Tversity, specifically to stream video content from Netflix, Hulu, CBS, Youtube, CNN, ESPN and more to TV, supporting wide variety of AV formats and codecs including H.264, MKV, Dixv HD, MOV, VC-1, FLV, AVC-HD and FLAC. 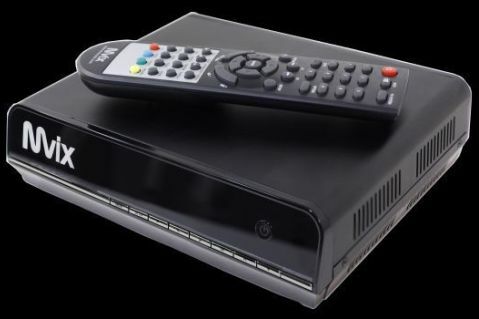 According to the company, Mvix Ultio that able to provide users a complete HTPC (Home Theater PC) experience is Internet-ready and pre-equipped with network port and optional Wireless-N capability. The new Mvix Ultio that available in regular version (without HDD) and premium version (comes with 1TB HDD) will hit Amazon.com, Buy.com, Thinkgeek.com, B&H Photo Video.com as well as MvixUSA’s stores in coming July for $169 and $259, respectively.